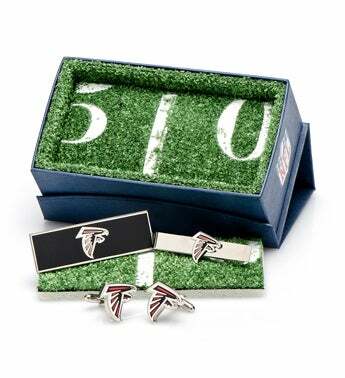 The perfect gift for the sports lover in your life, the Atlanta Falcons Gift Set features a pair of officially licensed cufflinks, a money clip and team tie bar. Ideal for the fashionable fan, support your team in the most sophisticated of ways. Officially licensed by the National Football League.